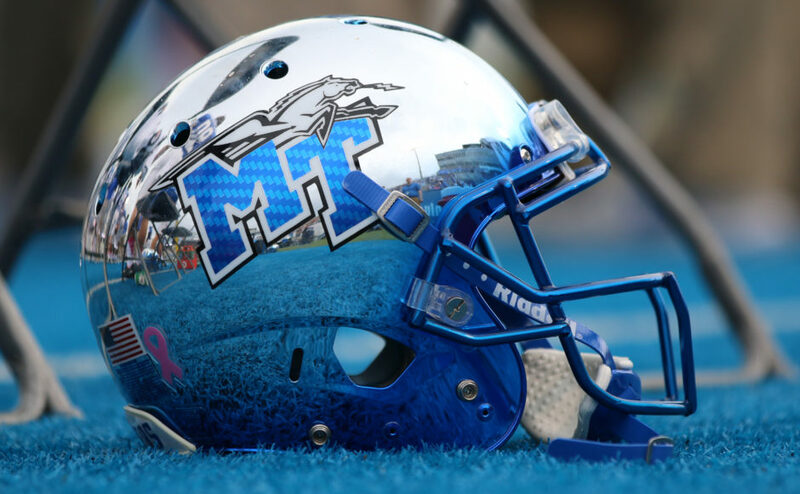 Middle Tennessee dons chrome helmets for their game against the FIU Panthers on Oct. 7, 2017, in Murfreesboro, Tenn. (Devin P. Grimes /MTSU Sidelines). 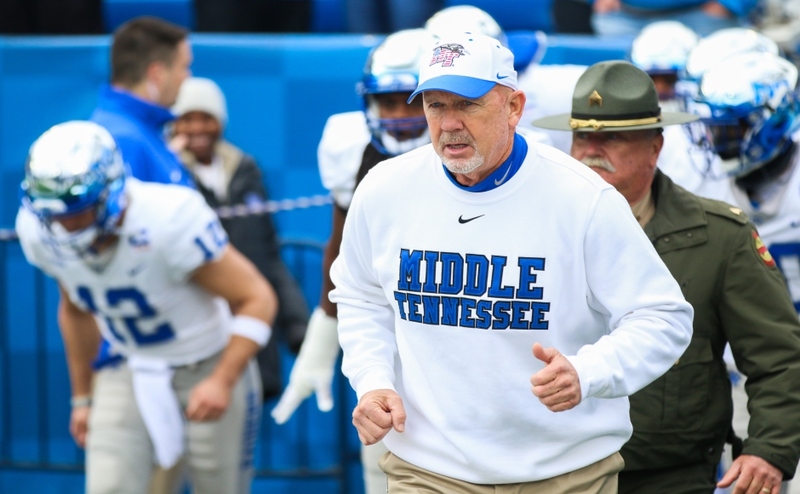 Coming off of a 38-10 loss to Marshall, the Middle Tennessee Blue Raiders (3-5, 1-3) are preparing to take on the University of Texas-El Paso Miners (0-8, 0-4). After back-to-back losses, the team is looking for answers and are still three wins away from bowl eligibility. The beaten and battered Raiders had a chance to rest and recuperate during a much-needed bye week last week. 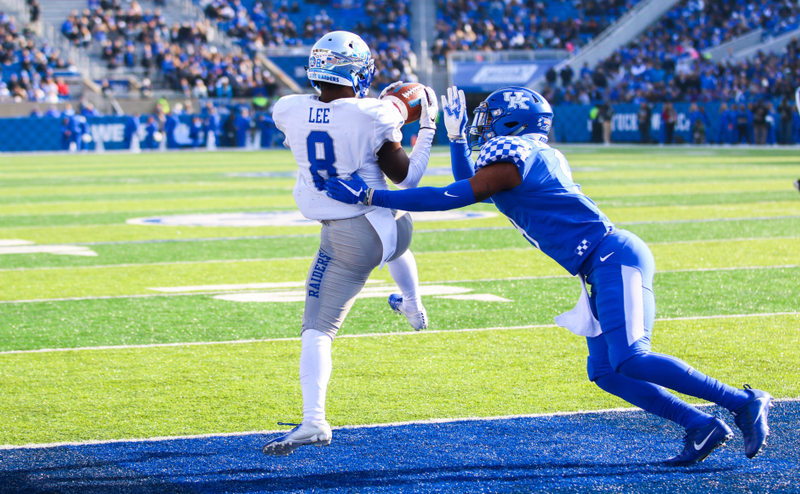 During the loss to Marshall, the Blue Raider offense took a few more blows in the injury department when they lost wide receiver Richie James to a shoulder injury and quarterback John Urzua to a concussion. Offensive lineman Conner Trent went down before the end of the first half as well. Stockstill confirmed that Richie James will likely miss the Raiders matchup with UTEP as well. 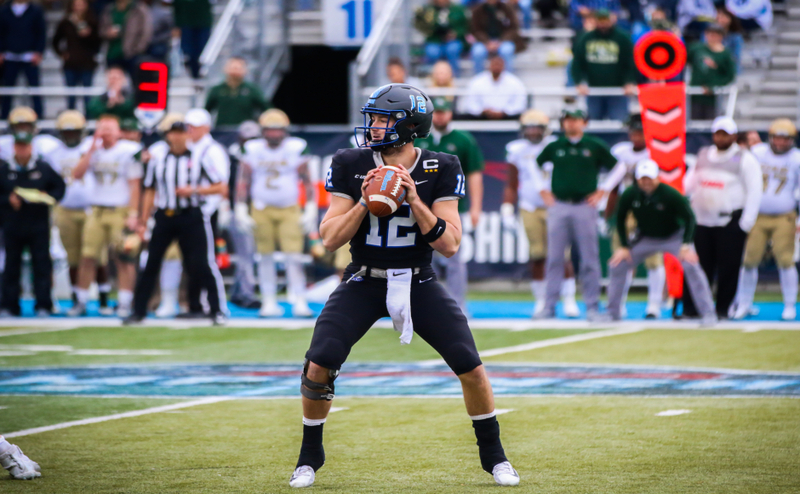 Should Urzua not be able to go, the heir apparent at quarterback is redshirt freshman Kyle Banks. Banks has seen action in three games this season and has completed 6-11 passes for 49 yards this season. As a senior at North Paulding High School in Georgia, Banks threw for 2,713 yards and 24 touchdowns while also leading the team in rushing with a 4.4 yard-per-carry average. UTEP comes into Floyd Stadium this weekend searching for their first win of the season. The Miners lost to in-state rival UTSA 31-14 this past weekend and made a coaching change after week five. They named former head coach Mike Price (HC at UTEP from 2004-2012) the interim coach after Sean Kugler resigned. The Miners have struggled mightily on the offensive side of the ball as they rank in the bottom 10 of all FBS in total offense this season. 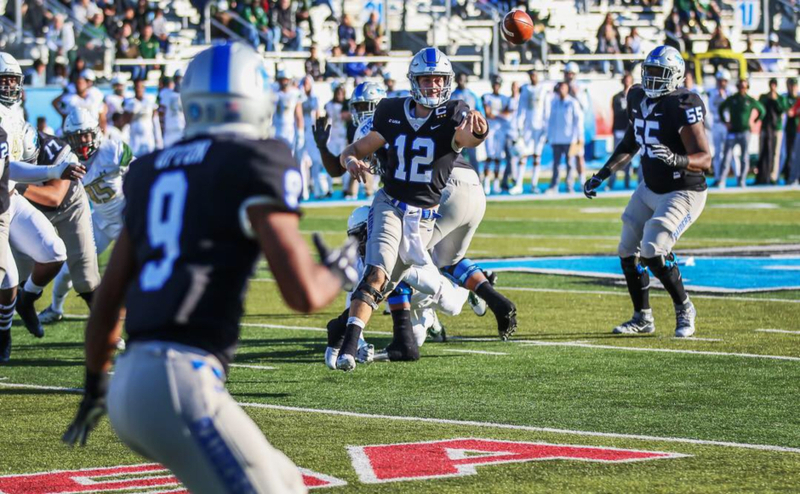 The Blue Raiders are looking to reverse their fortunes coming off of the bye-week. In the Stockstill era, MTSU is 5-6 in games coming off of a bye. The Blue Raiders have also struggled in games after back-to-back losses, as they are just 6-9 in those contests under Stockstill. Kick-off for the annual Salute to Armed Forces game is scheduled for 6:30 p.m. this Saturday. The game will air on beIN Sports Network and 101.9 WGNS in Murfreesboro, as well as 102.5 The Game throughout the mid-state.